The retelling of classic tales has never been my cup of tea. Perhaps it is because I am a purist, in that I appreciate preserving the spirit of the original. I also think that some retelling attempts have their own agendas. This is especially the case when the villain is seen in a much more sympathetic light. The evil one turns out to be the one with truth on his side, while the good one is just pretending to be righteous. Black becomes white, and white becomes black. There is no truth. 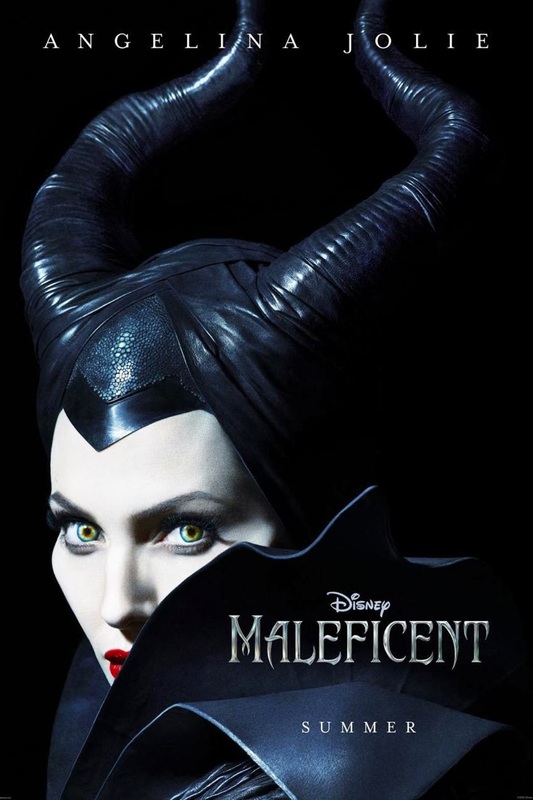 Bent on revenge, Maleficent faces an epic battle with the invading king’s successor and, as a result, places a curse upon his newborn infant Aurora. As the child grows, Maleficent realizes that Aurora holds the key to peace in the kingdom—and perhaps to Maleficent’s true happiness as well. What true happiness? What is Maleficent going to do? Is she going to do something drastic that changes the shape of the story? Perhaps she has a change of heart? Intended to be ambiguous, we await learning Maleficent's next move. It is as if Maleficent has opened up her personal life and shares with you her story. I find this highly interesting for a few reasons. First, we get to see how the heart of a good person is turned into stone, the transformation from good to evil. “In the beginning, it was not so”. Different circumstances influence our decision-making, and subsequently they turn for the worse. It reminds me of the “bad people” that we sometimes conveniently categorize in our minds: he's been to jail; she had a less-than-edifying lifestyle. Stay away from them! When we take such easy judgemental shortcuts, we fail to see their full story, their experiences. We fail to consider them as persons. Second, this evil villain may not be that hard-hearted. She may come to her senses and realize something that may lead her to a more life-giving path. While we need to wait until May of 2014 to know what exactly she will do, it seems to point to the existence of a conscience. If she has any sense of what is right and wrong, good and evil, then she is not such a hopeless case after all. This leads to my third observation: since the road to redemption is possible even for evil villains, it likely lies in the decision(s) that Maleficent is planning to make. This is not to say that we have full control of our own redemption. The moment where one's conscience enlightens the situation is a moment of grace. It is as if the Lord has not closed the door on villains like Maleficent. This re-working of the classic tale is like journeying with someone who has chosen to walk on the path of sin and death, but is now having second thoughts. This points to our role as companions: Have we condemned her already? How do we journey with her? Have we gotten to know her story, on what hardened her heart in the first place? Is there something within us that is preventing us from being completely open and available to her? Are we leading her to the truth, so that she can freely make a decision in light of it? Regardless of the choices that Maleficent will make in the movie, it seems that she is already doing something good by showing us this reality of journeying with others.